Tottenham are reportedly plotting a £35 million move to sign Declan Rice, who is also a target for Liverpool, in the summer transfer window. 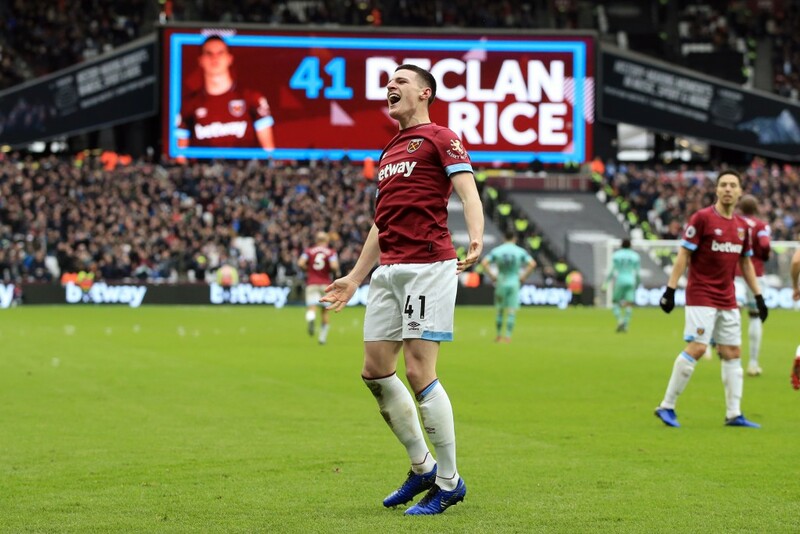 According to an exclusive report by Daily Express, Tottenham have joined the race to sign Declan Rice in the summer transfer window. The West Ham United midfielder, who is also being tailed by Liverpool, is set to be the subject of a £35 million bid by Spurs. Declan Rice has emanated from the famous West Ham United academy, that has previously produced gems such as Jermain Defoe, Michael Carrick and Frank Lampard. In fact, the player made such a rapid impression at the club’s youth setup that he made hist first-team debut aged just 18. Since making his first-team bow, the player has gone on become a regular at the London Stadium, and is now one of the first names on the team sheet. But, his advent has started attracting interest from bigger clubs, the latest of which are seemingly Liverpool and Tottenham. The interest from Liverpool seems to be somewhat perplexing, considering Jurgen Klopp has a stacked midfield unit at his disposal. As far as Rice’s position is concerned, Fabinho was signed last summer, and the Brazilian has settled in well at Anfield, while Georginio Wijnaldum and Jordan Henderson have done well in the role as well. Nevertheless, it looks like Liverpool are set to make their move for the talented 20-year-old midfielder sooner rather than later. Tottenham, on the other hand, do need to bolster midfield. Mousa Dembele ended his stint with the North London club last month, moving to China, while Victor Wanyama has constantly had to deal with injury troubles. That leaves Mauricio Pochettino with just Eric Dier, Harry Winks and Moussa Sissoko as his regularly available options. Tottenham are now hoping to beat Liverpool to the player’s signature, with a £35 million being lined up for the summer transfer window. But, the report suggests that Spurs are eyeing Rice as a possible replacement for Christian Eriksen, which is rather surprising, considering the two players do not play in the same position. Either way, Declan Rice could be a fine addition to the Tottenham squad. 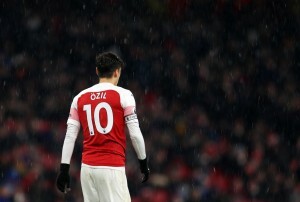 But, it remains to be seen if Spurs, Liverpool or any other suitor are able to secure the services of the player mere months after he committed to a long-term deal with West Ham United.